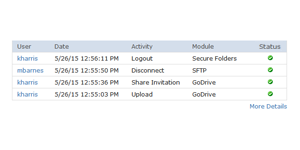 GoAnywhere MFT includes a browser-based interface for performing configuration and monitoring in the product. All popular browsers are supported including Microsoft Internet Explorer, FireFox, Safari and Google Chrome. Since this is a server-centric solution, no software needs to be installed on any PCs to perform administration in GoAnywhere MFT. 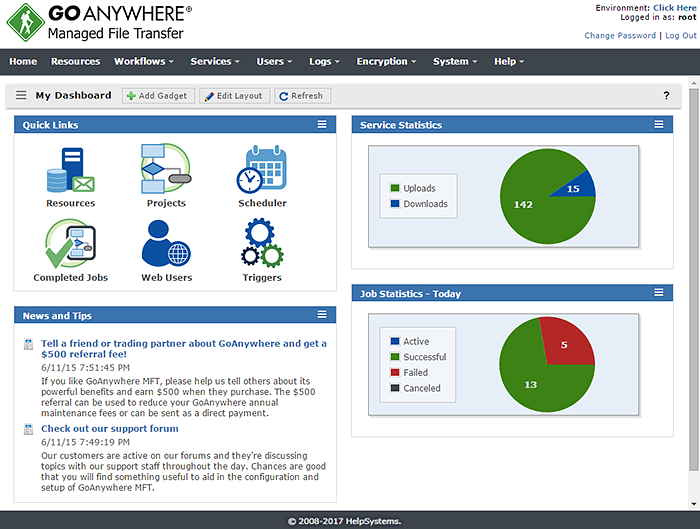 Most browser-enabled devices can access the administrator in GoAnywhere MFT including Windows/Linux/Mac laptops and desktops, iPads, iPhones, Android phones and other smart phones. The Dashboard provides drop-down menus and links to quickly access features within GoAnywhere, along with customizable Gadgets that display vital system statistics and file transfer activity. Help is just a click away in GoAnywhere MFT as all screens include context-sensitive instructions and field-level documentation. No special skills or programming are needed to use GoAnywhere MFT allowing new users to be productive within minutes. Quickly identify the number of current connections for each file transfer protocol. 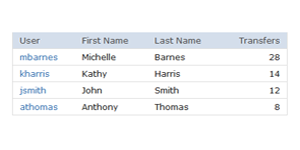 Click anywhere on the interactive chart to navigate directly to the detailed session information. 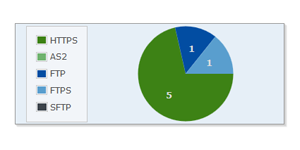 See the most recent Web User activity from the modules the users have access to. Click their User name to navigate to the Global log where all their activity is displayed in "Google-like” search results. 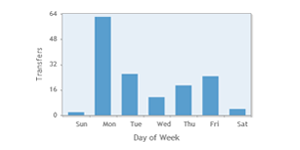 Understand the patterns of your file transfer volumes by hour, day, week, month, or year. You can choose to view file transfers by individual protocols, or all the protocols at once. Monitor the users who transfer the most amount of files or data. Click their User name to navigate to the Global log where all their account activity is displayed in "Google-like" search results. 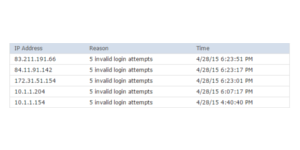 Displays a list of the most recent blocked IP addresses and the reasons why GoAnywhere determined them to be malicious. View the number of jobs that have processed in GoAnywhere during the selected time frame. 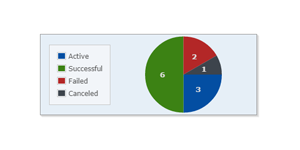 Click anywhere on the interactive chart to navigate directly to the detailed Completed Jobs information.